God, Anne Francis was hot. I was JUST going to write that. Though the above picture doesn’t quite do her justice. As far as I know, she’s still with us, too. 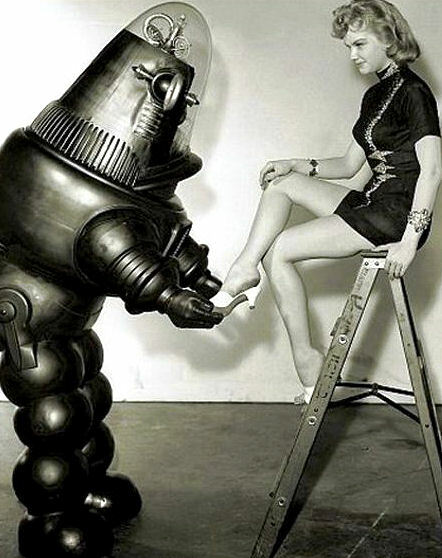 Those are some nice gams, roboto.